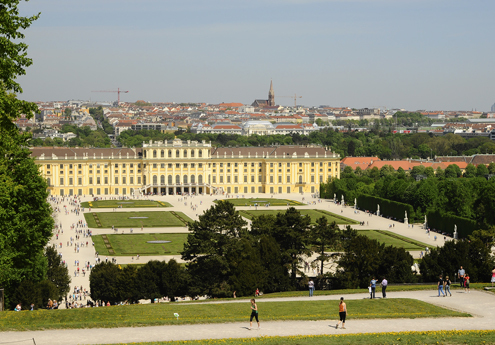 Last weekend we flew to the Austrian capital for a quick two-day trip. 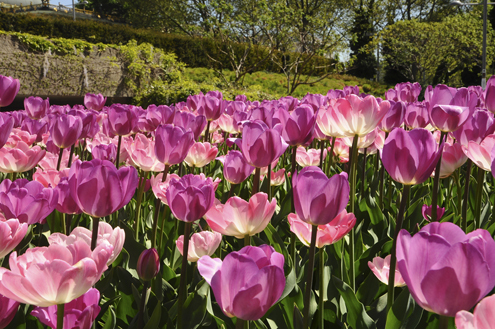 The sunny, warm weather was a welcomed change from the rainy, cool April in London. We delighted in the 75°F (24°C) temperatures so much that we found it difficult to leave. 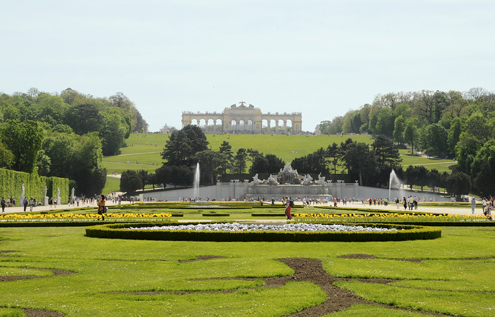 The one word I would use to describe Vienna is clean—meticulously clean. 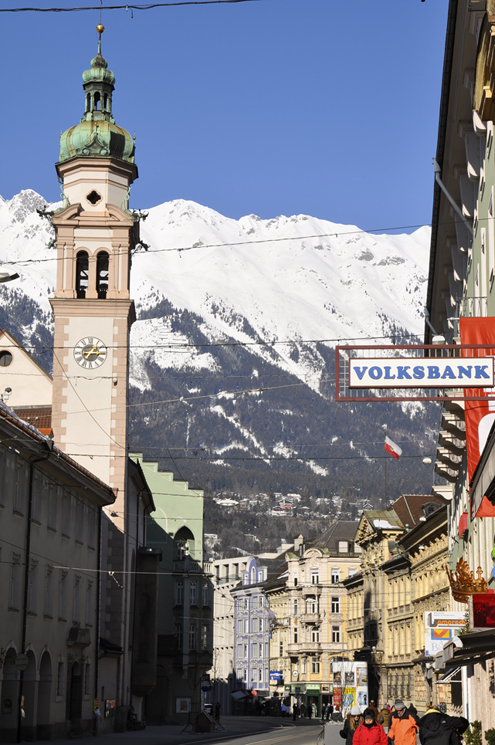 The architecturally rich city center mixes both past and present effortlessly. 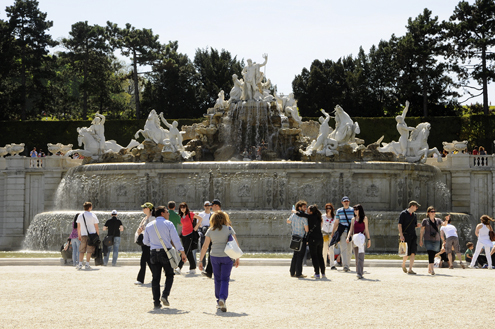 It is a pleasant city with a laid-back vibe. Much of Vienna’s past history (and Austria’s for that matter) surrounds the mighty Habsburg Empire, which lasted 640 years. 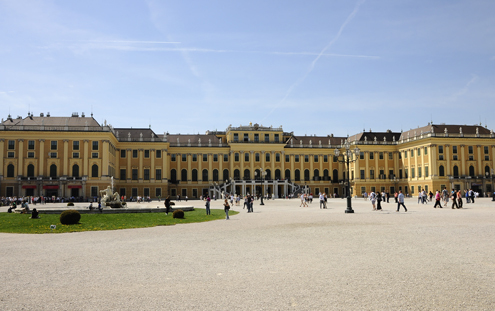 The Habsburg reign began in 1278 and ended in 1918 at the end of World War I. 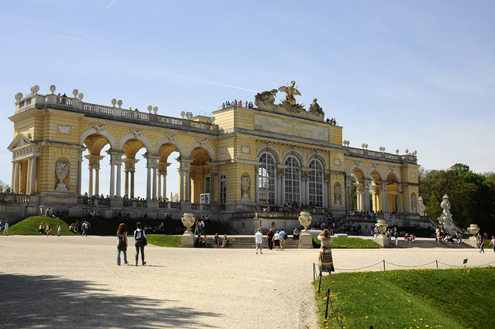 This illustrious family lived in two palatial palaces in Vienna, one for winter and one for summer. 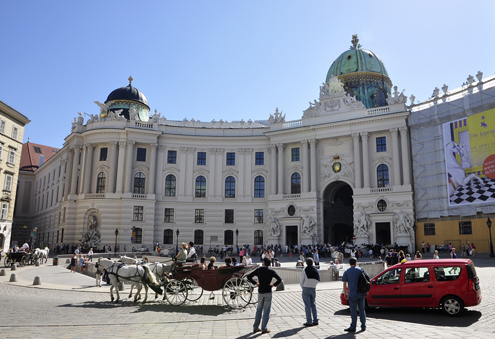 Hofburg Palace, in the city center, was once the grand, winter residence of the Habsburgs. 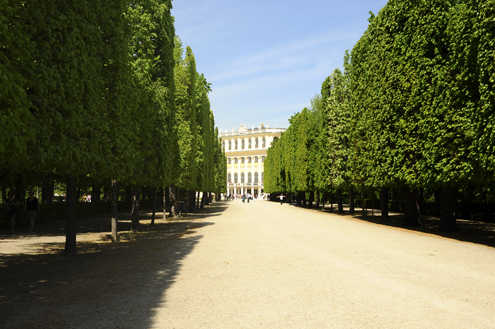 The tour of this stately complex includes the Imperial Apartments (Kaiserappartements), Sisi Museum (Empress Elisabeth, known as Sisi, was the wife of Emperor Franz Josef), and a look through the impressive Imperial Silver Collection. 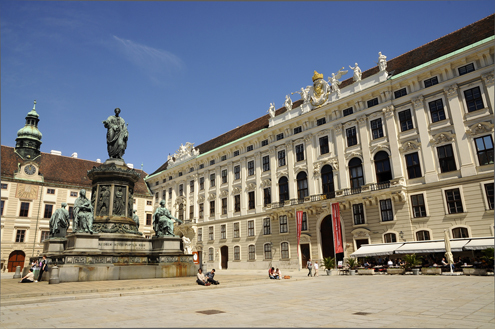 Hofburg Palace continues to be a seat of power, as it is home to the office of the President of Austria. Located behind the Hofburg is the Spanish Riding School (Spanische Hofreitschule) of the Lipizzaner Stallions—the famous Habsburg court horses. The Lipizzaner breed dates back to the 16th century. Visitors can watch these beautiful creatures strut their stuff during, often sold-out, public performances. 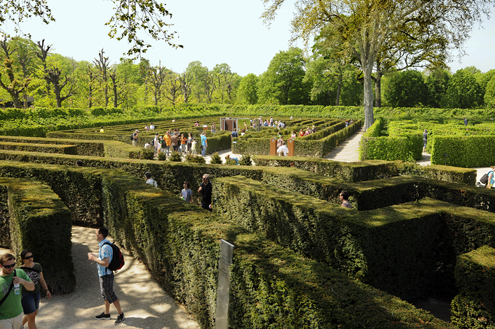 Kevin and I are happy to report that we made it through the maze…after only a couple dead-end turns. 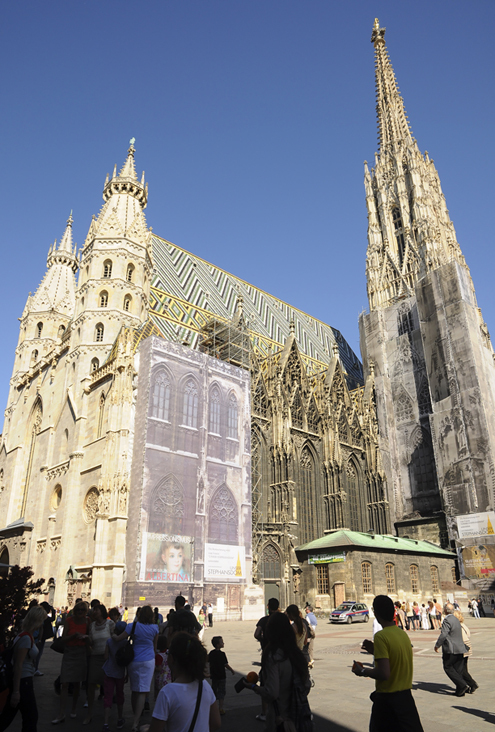 St. Stephen’s Cathedral (Stephansdom), with its Gothic spire and ornately patterned roof tiles, is one of Vienna’s iconic landmarks. Consecrated in 1147, the church has undergone several expansions over the years and survived many wars. The cathedral’s catacombs contain some of the internal organs of the Habsburg royal family. 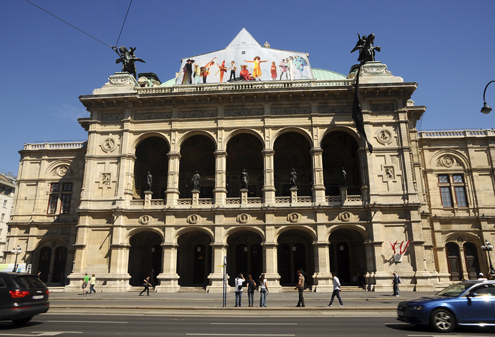 As one of the world’s finest cities for classical music, a trip to Vienna wouldn’t be complete without a visit to the Vienna State Opera (Staatsoper). I can’t say that k&mk are avid opera-goers, but it was a great experience to attend Giuseppe Verdi’s Don Carlos—even if it was for only 45 minutes in the €4 standing area “cheap seats”…it was well worth it. 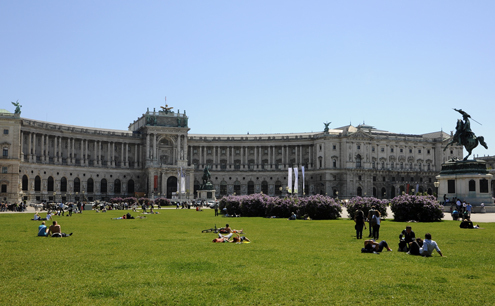 Thank you Vienna for the perfect weather! We enjoyed our visit. First off, I want to say Happy New Year to all. I’ve been away from the blog for a while visiting family and friends in the U.S.; it was great fun. 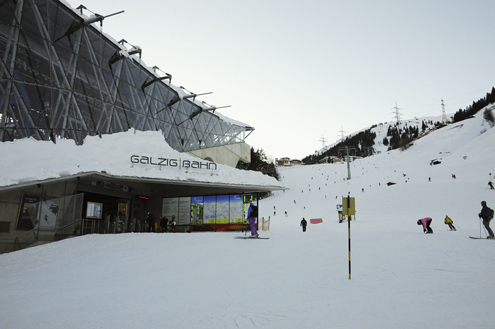 Now that 2012 is upon us, we decided that our first trip of the year should be an active one….So, off we went to St. Anton am Arlberg in Austria to work off our Christmas cookies on the slopes. 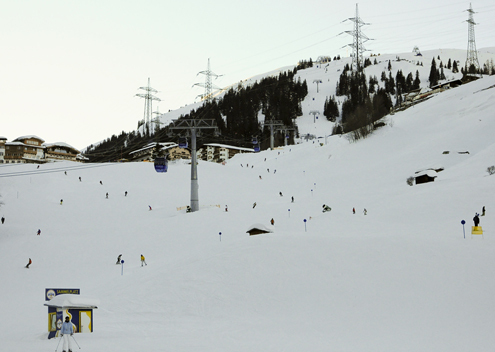 St. Anton, part of the Arlberg region, is Austria’s prime skiing destination and largest ski resort. At an elevation of 4,265 ft (1300 m), the mountain air is crisp, clean, and may even take your breath away if you’re not accustomed to high altitude. With several feet of snow already on the mountain and fresh powder falling on us, we knew the conditions could not be any better. Kevin was in heaven. 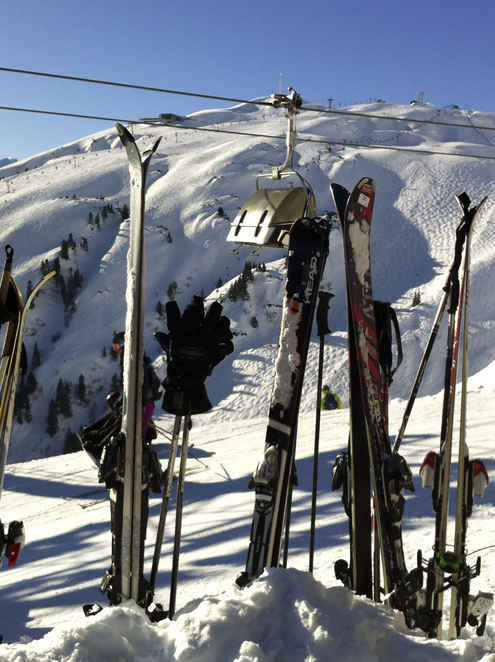 He skied off-piste in deep, fresh snow and had a ball (too advanced for me!). 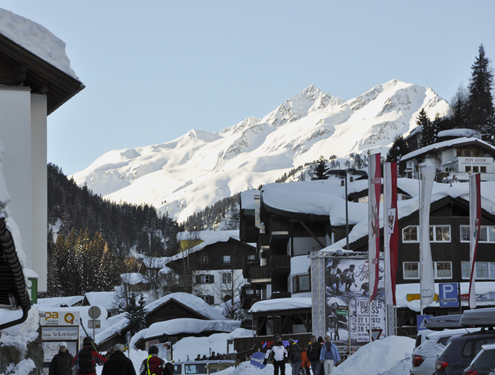 St. Anton boasts about 270 miles (440 km) of descents with 85 lifts and cable cars to keep you on the move. 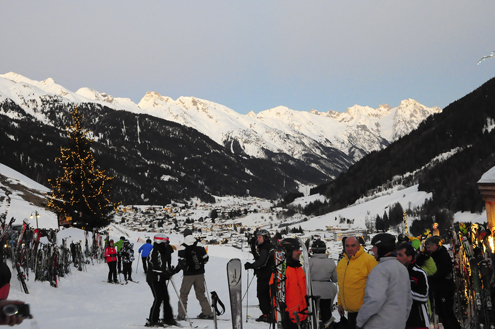 And at the end of a long day of skiing, you have St. Anton’s legendary après ski festivities to look forward to. 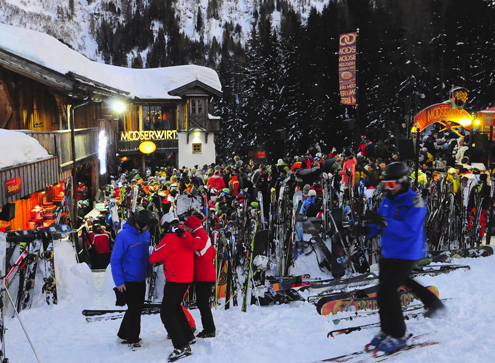 Head to Mooserwirt or the Krazy Kangaruh for some suds to cool you down or some mulled wine to warm you up. Get ready to sing, dance, and be merry…cuz it’s a P.A.R.T.Y. 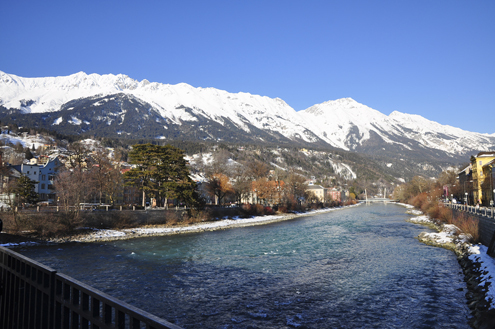 After two days of skiing, it was time to head home and move our sore muscles to the airport, but not before a very quick peek at Innsbruck. 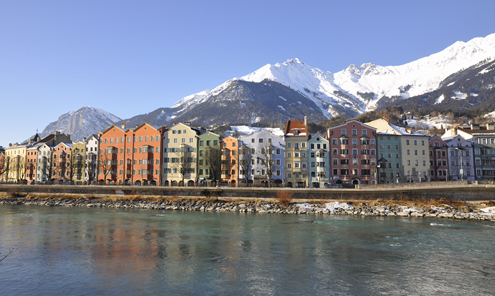 Located in the valley of the Inn River, Innsbruck is a charming city nestled close the beautiful Austrian Alps. Sculpting the ice...I think he's carving Kevin. 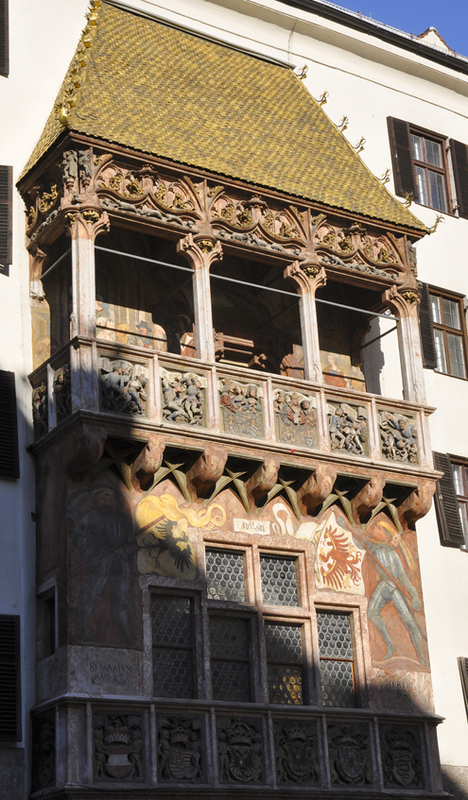 The Golden Roof (Goldenes Dachl in German), built in the early 15th century for Emperor Maximilian I, is one of Innsbruck’s famous landmarks. Covered with approximately 2,700 gilded copper tiles, it served as a royal box for the emperor so he could watch the events in the square below. Pretty nice. I think it’s safe to say we burned a few calories on the slopes of St. Anton (which might work out to a cookie and a half). 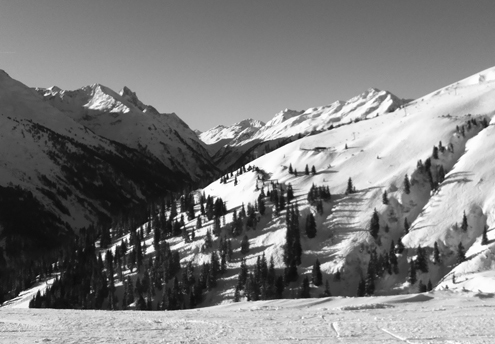 Calories aside, it was a memorable experience swishing around those impressive mountains.